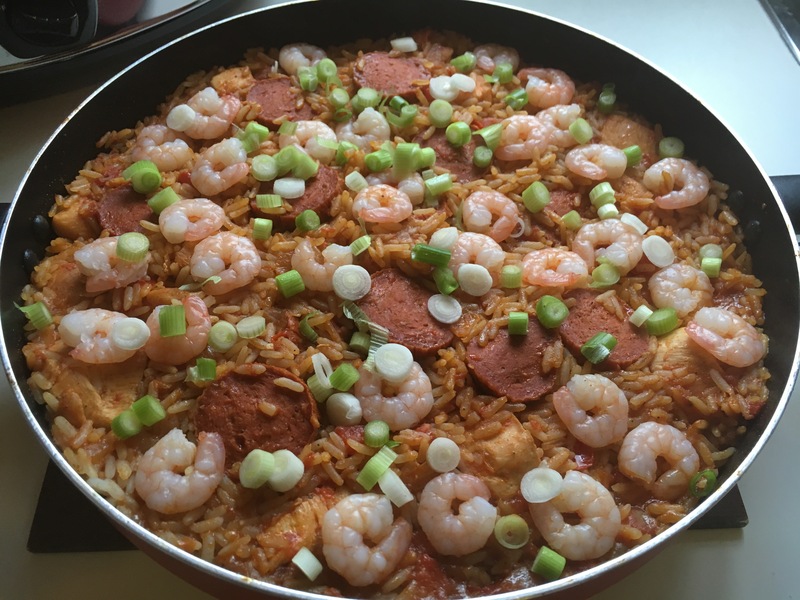 Jambalaya is a dish popular in the South East United States, particularly in Louisiana. The main ingredients are rice, meat, vegetable. It varies from each region, it can include huge range of meats and seafood. The most common are chicken and smoked sausage. 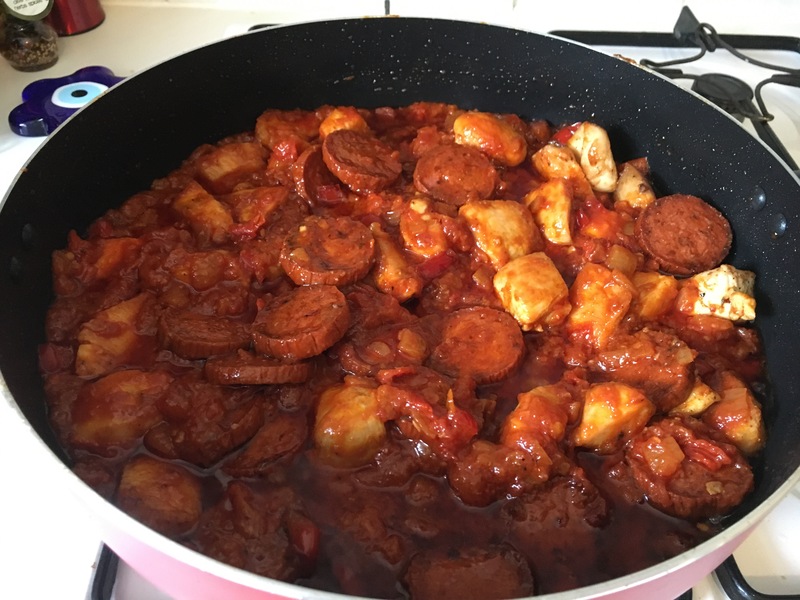 Jambalaya is filling and full of flavour. It is a versatile dish, easily adapted to whatever ingredients laying around. 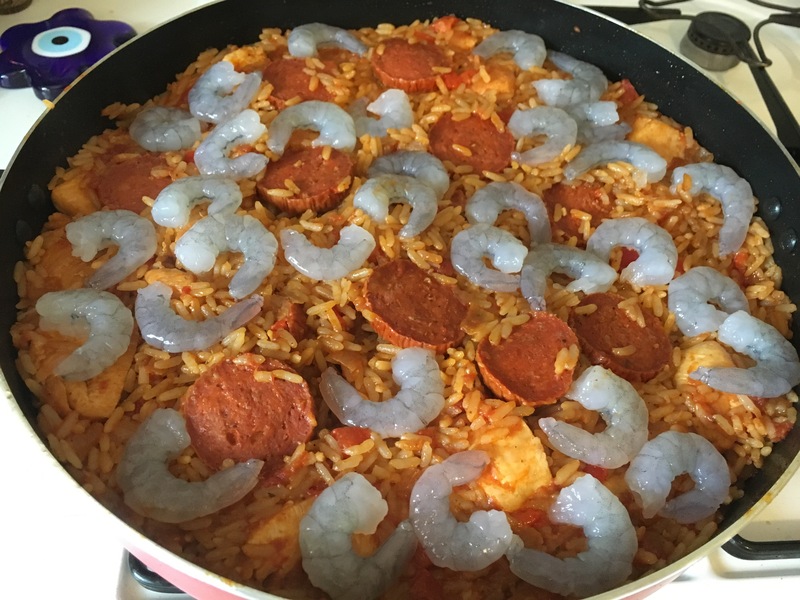 What is the meaning of Jambalaya? Uncertain, none proved. It said to come from the French word Jambon, meaning Ham, combined with the African word Aya meaning rice during slavery in Louisiana at the time the dish is thought to originate from. Although the exact origin of the dish are not known for sure. 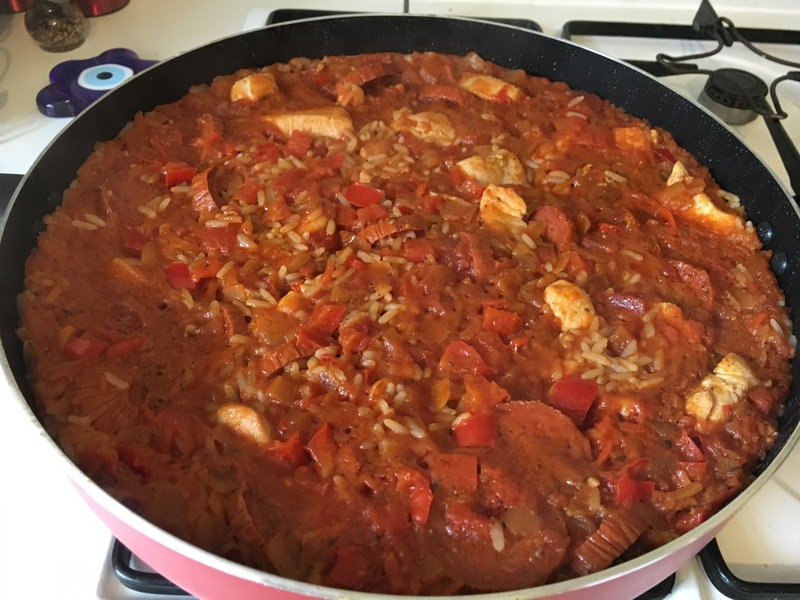 Jambalaya has influences of Spain, French, African, Native American and the Caribbean cooking styles. 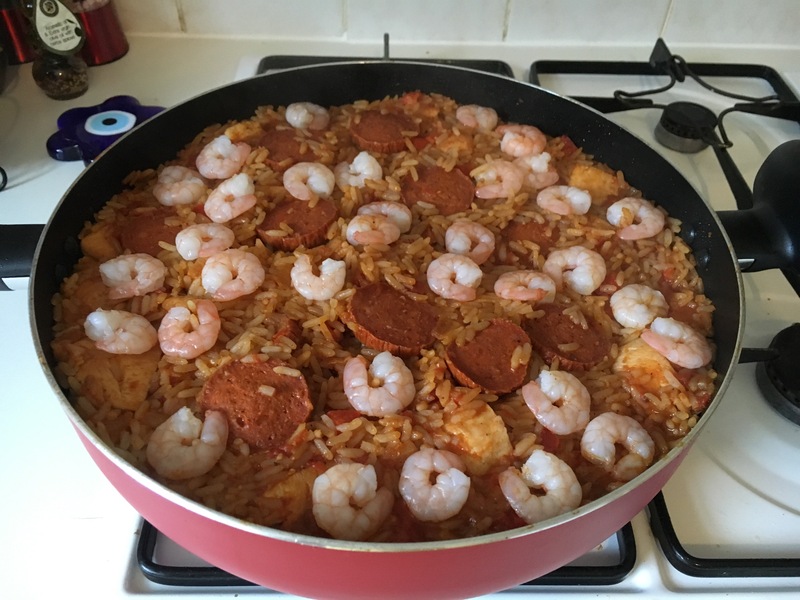 Perhaps the most obvious of these is the Spanish, due to the similarity dish to paella that was brought to New Orleans by the foreign explorers. 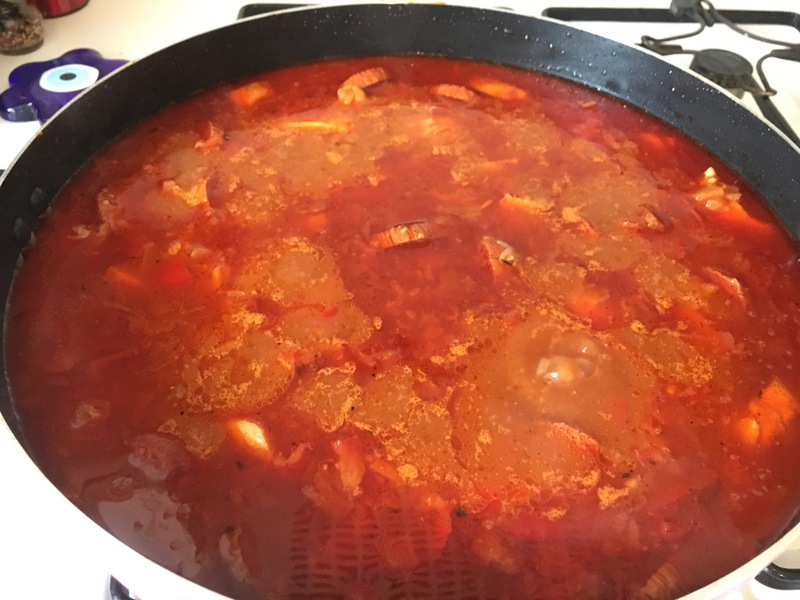 It may be that the Creole Jambalaya, tomato may have been added by Spanish cooks as a substitute for saffron used in paella. From the French probably added spices brought from the Caribbean while Cajun cooks used meat. 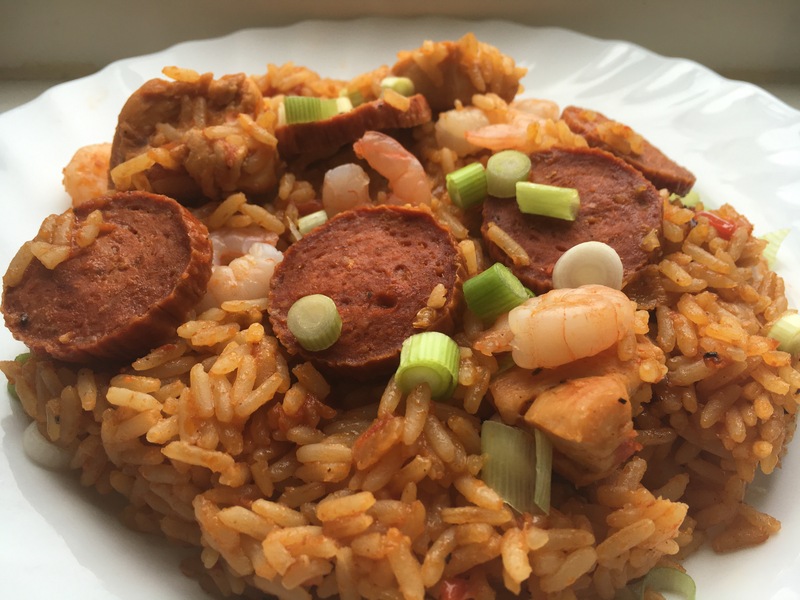 Jambalaya is still a firm favourite in Louisiana and remains a big part of social gatherings. Festival and cooks from across the region take part in annual contest. 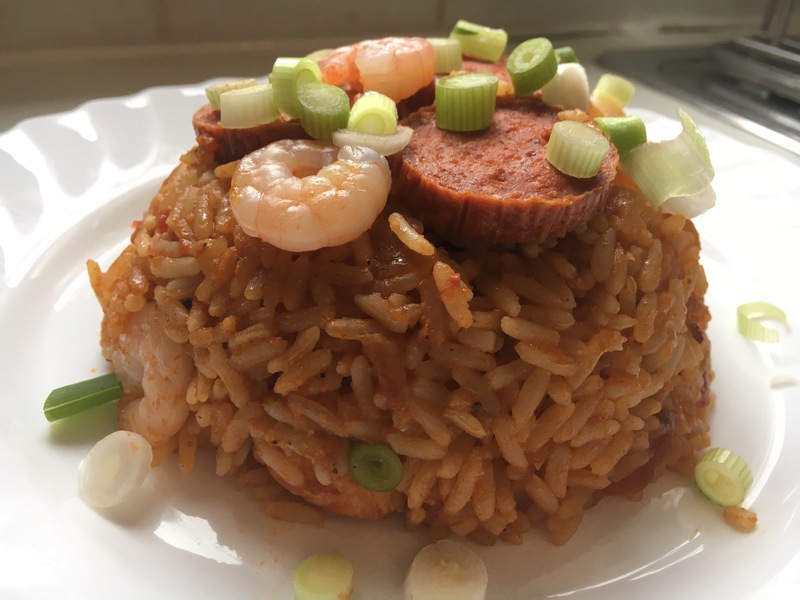 Jambalaya is a uniting dish that is likely to be enjoyed by generation to come. 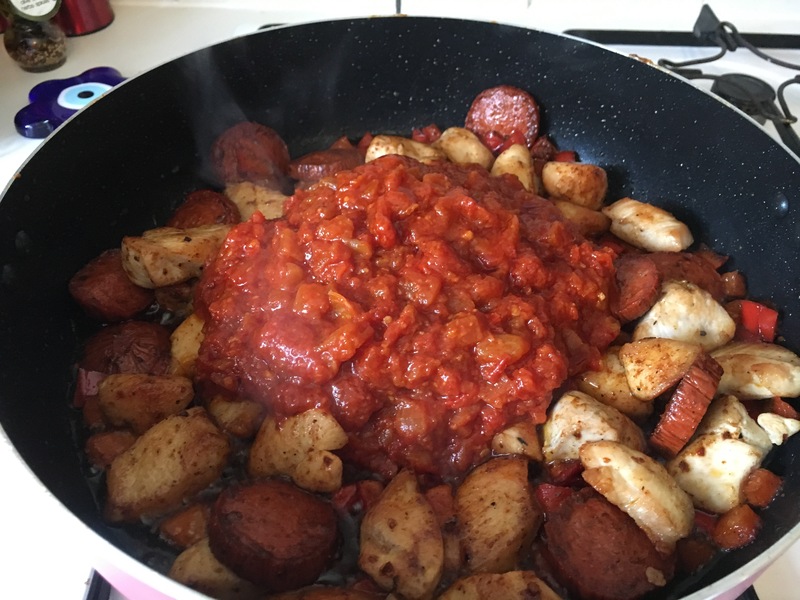 There are many variations in cooking jambalaya. The main two methods are CREOLE AND CAJUN. Louisiana creole people are also called French creoles descended from colonial settlers of Louisiana, especially those of French or Spanish decent. It refer to persons born in Louisiana from those born in the mother country or elsewhere. Creole was a term used to mean those who were native born. Cajuns are the French colonists who settled the Canadian Maritime Provinces in the 1600s. They were French peasants who found home in what is now New Brunswick and Nova Scotia, Canada. Today the Cajuns make up a significant portion of south Louisiana’s population. First cooked in and around New Orleans. 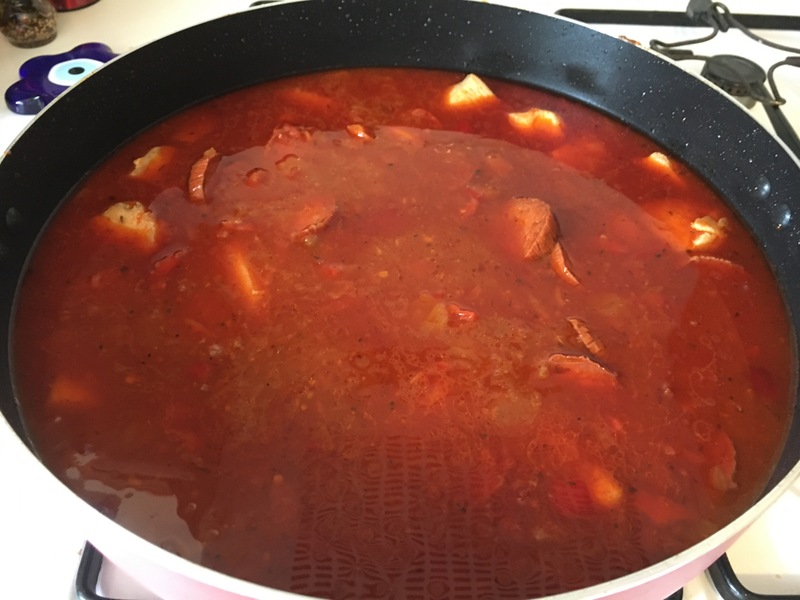 It is made using tomatoes, onions, peppers and celery cooked with meat and the rice are added. 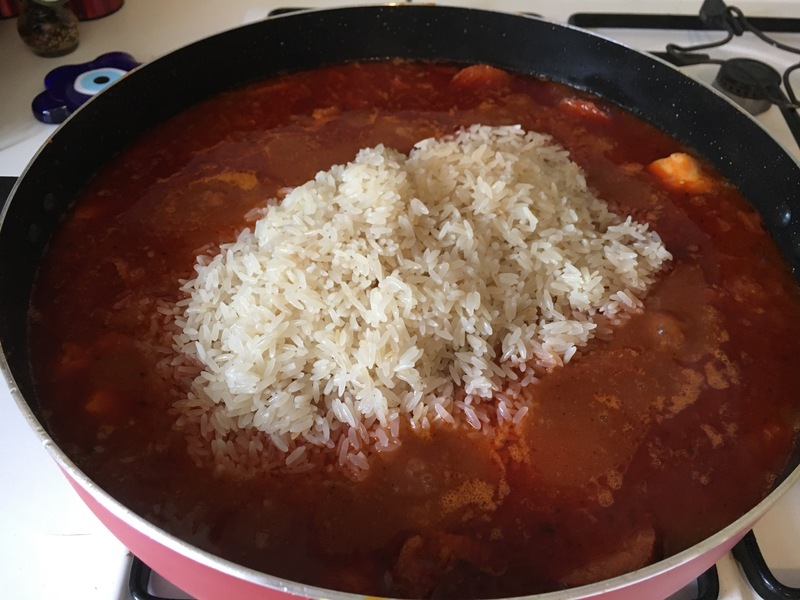 Brought to boil then covers and left to simmer until all the stock has absorbed by the rice ending in a red coloured dish from the tomatoes. 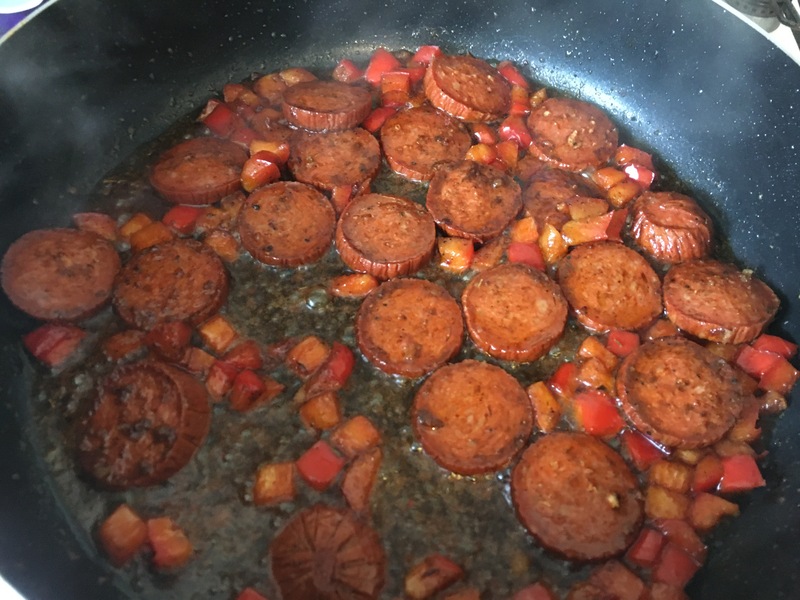 Creole jambalaya is also called red jambalaya. First cooked in the countryside of Louisiana. This is not made with tomatoes. 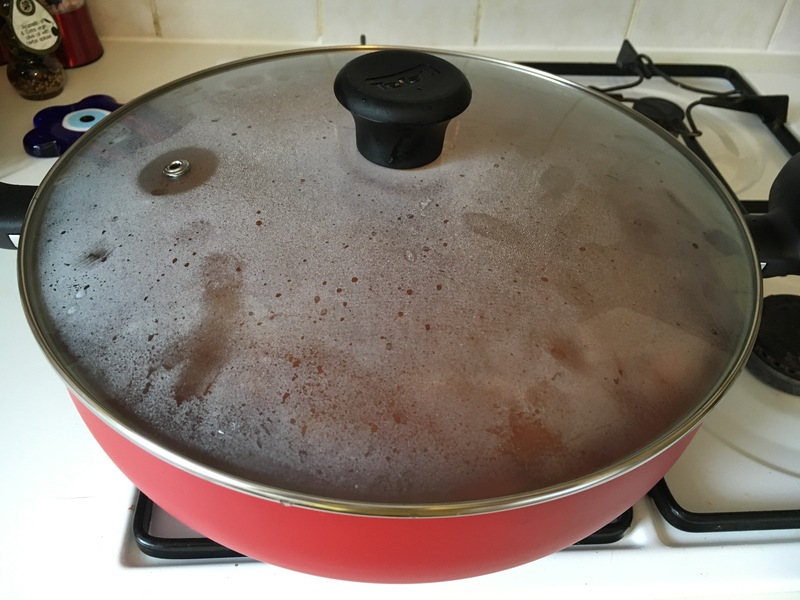 Instead the meat is first cooked on its own until it caramelises, then the vegetables is added and when cooked the rice and stock are put in which ends in a brown colour due to the meat dissolving in the broth. It also has a smokier flavour because of the caramelised meat. Creole seasoning blend is great for seasoning, rice, meat, soups and stews, or anything that needs a flavour boost. Consist of dried basil, dried thyme, dried oregano, black pepper, while pepper, sweet paprika, cayenne pepper, onion powder, garlic powder and salt. 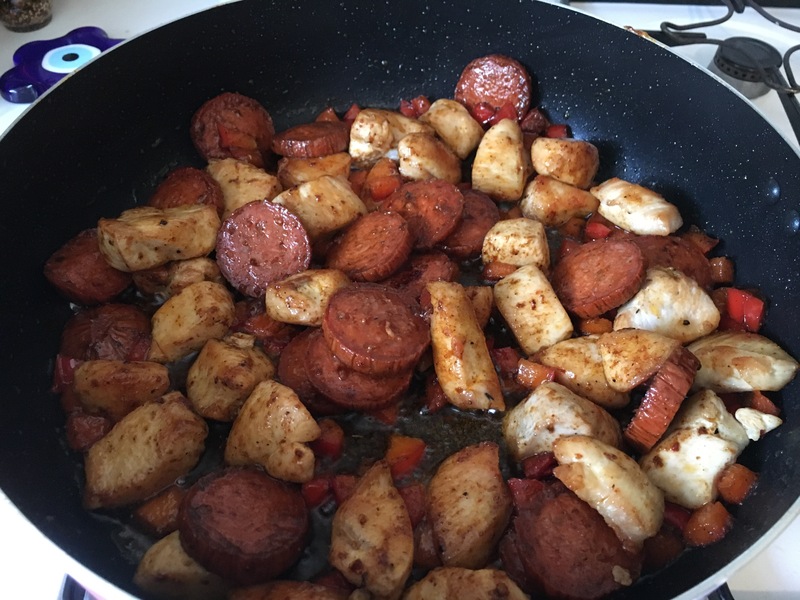 Creole seasoning tend to be a little sweeter with fair amount of sweet paprika and mild. Cajun spice mix are very similar to creole seasoning but little spicier more cayenne pepper, red pepper flakes and less sweet paprika. They can be found in most supermarkets. I prefer to do my tomato sauce separate before putting it together. 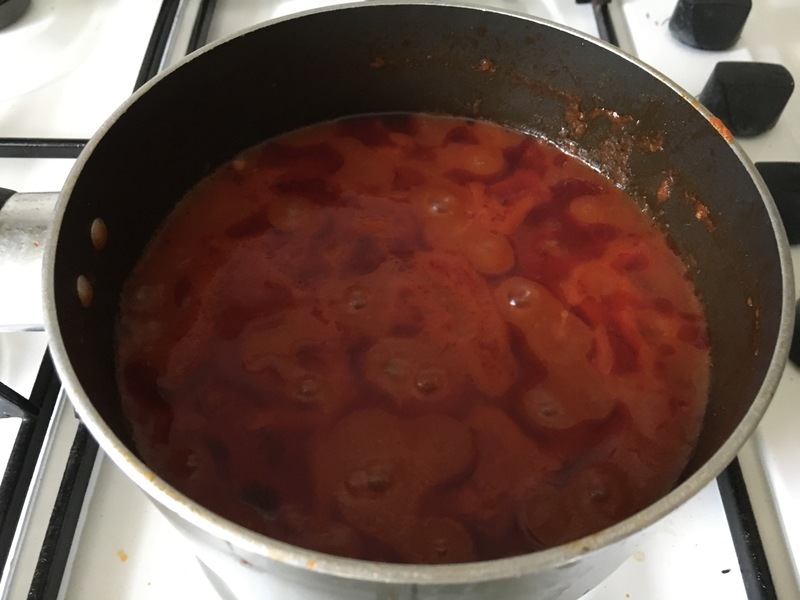 The reason is that I want more coaxing flavour out of the tomato sauce. 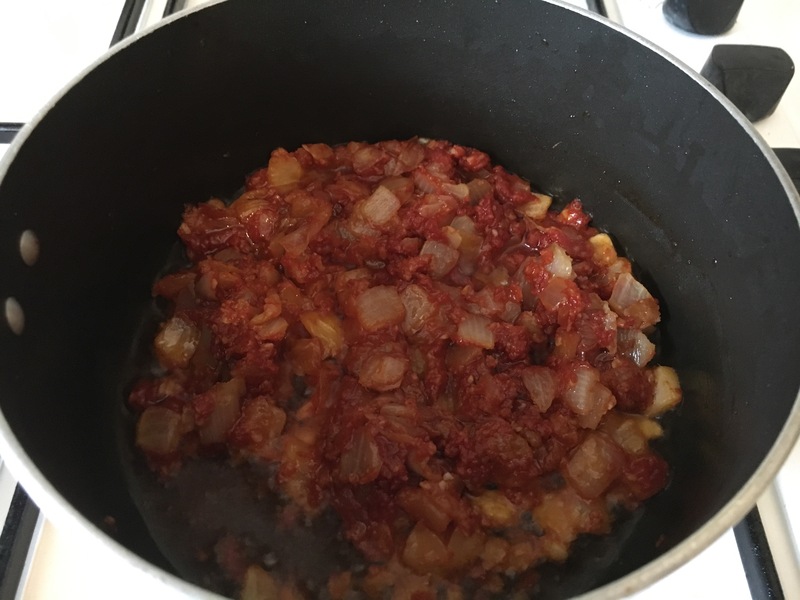 By sautéing the tomato puree for 3 to 4 min and letting it brown in the pan with the garlic and onions. This will boost the flavour in a big way. A sweet taste not sour or bitter tomato taste. This could be prepared a day before and kept in the refrigerator or on the day. You can also add hot chilli during the process if you like it hot. 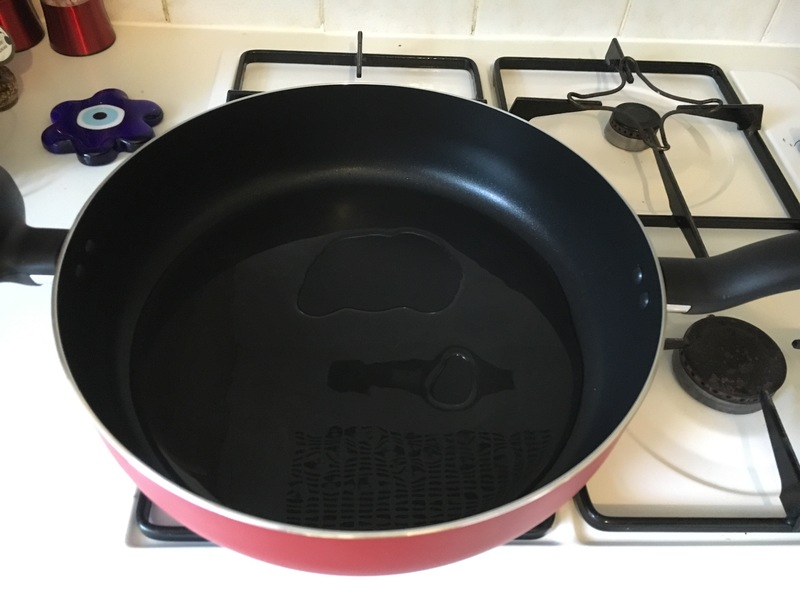 Pour vegetable oil into a pan over medium heat. 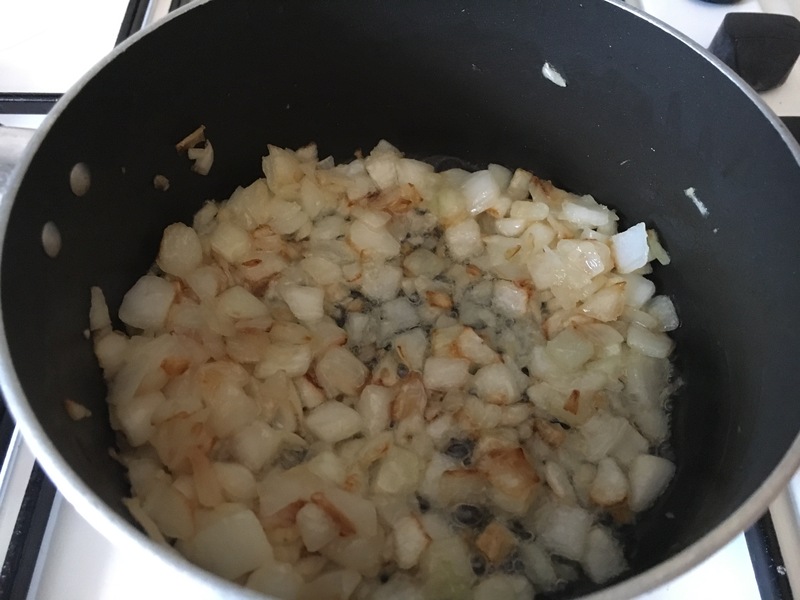 Add the chopped onion and sauté for 6 to 8 minutes or until onions are translucent and golden. 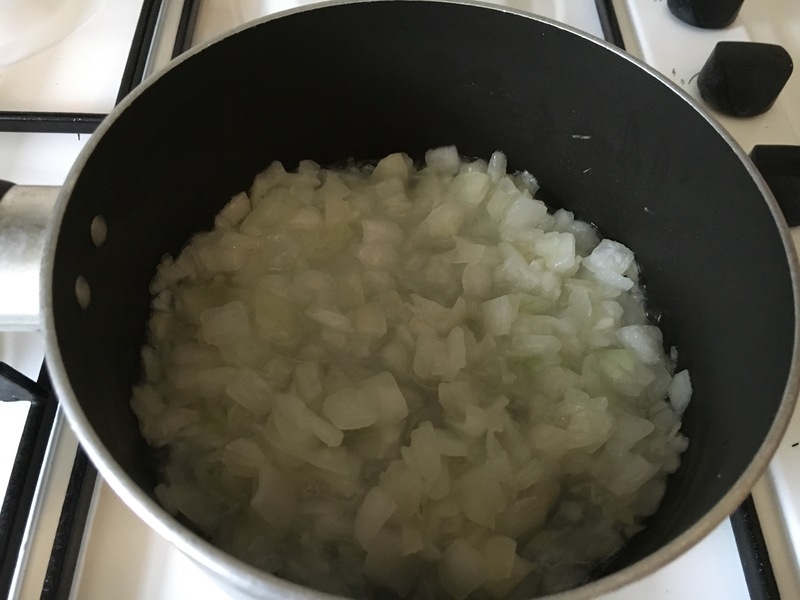 Add the garlic and stir for another minute. 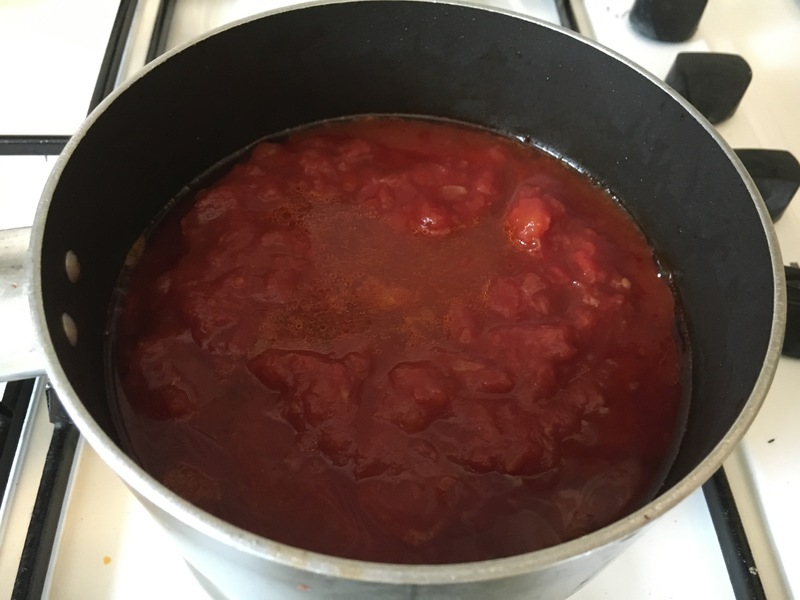 Then add the tomato puree and stir well for 3 to 4 minutes until brown. Then add the chopped tomato with 1 cup of water. 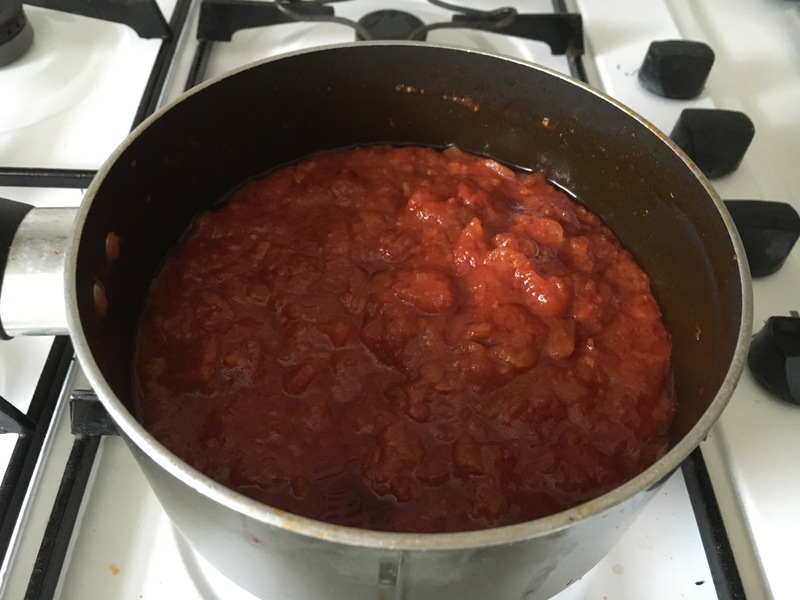 Let it simmer for 30 minutes until the tomatoes are cooked well and thicken. You will notice the oil rising lower the heat and allow it to simmer for another 10 min to cook through. In a large deep lidded frying pan, over medium heat. 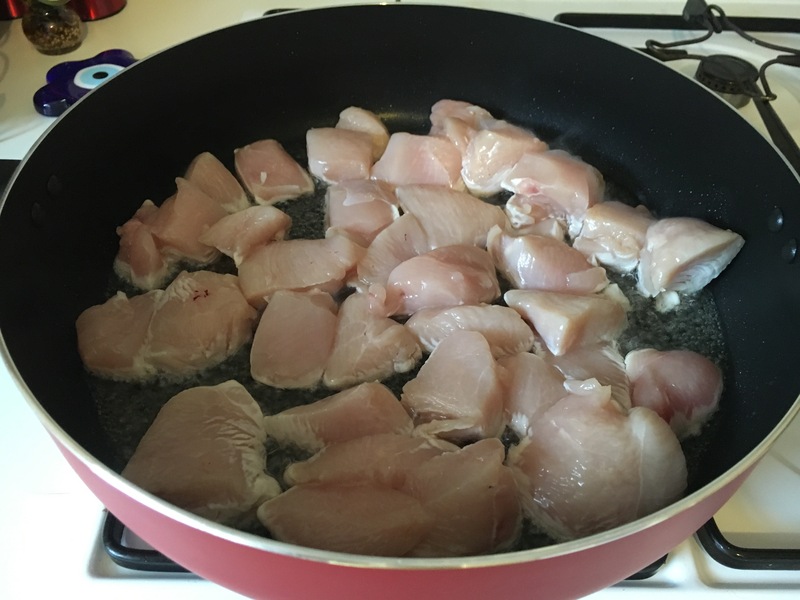 Heat some oil and fry the chicken for 5 to 8 minutes until brown and golden. Remove and set aside. 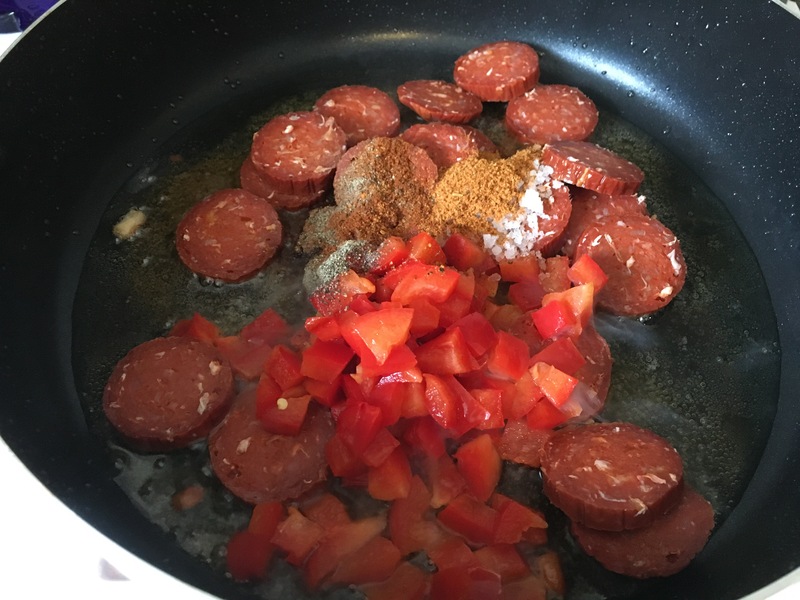 Add the bell pepper, chorizo and Cajun seasoning with the paprika, bay leaves and cook for 5 minutes or more until well blend. 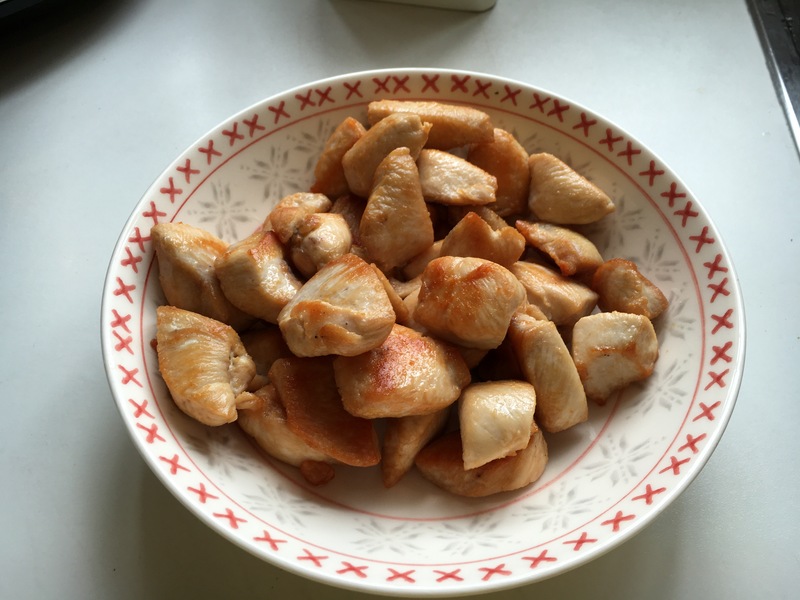 Stir the chicken back .Add the tomato sauce and blend well with salt and pepper to taste. then add the rice and let it simmer for 5 min. turn the heat down, Cover and simmer for 20 to 25 until the rice is cooked. 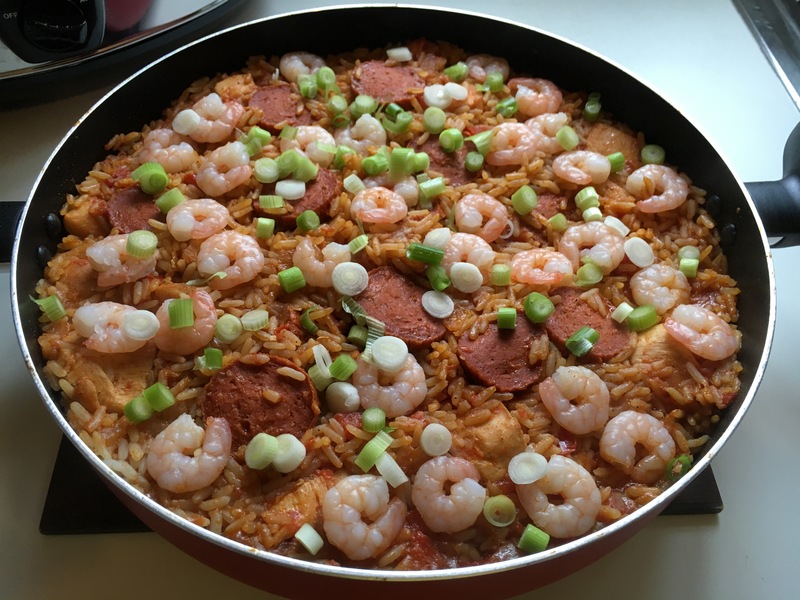 Gently stir the rice and lay the raw prawns on the top. Pop the lid back on and cook for another 4 to 5 minutes or until the prawn is cooked and pink in colour. Add more water if there is not enough liquid to finish the cooking of the rice. Jambalaya is a rice dish and not a sauce dish. Enjoy the smoky Deep South flavours. Serve garnished with the spring onions. Goes well with lemony green salad.